A WebmasterWorld thread has an email from a Google AdSense representative about why a particular publisher's AdSense ads are no longer showing the arrows. As you may remember, Google began showing arrows on AdSense ads in September 2012 and has been testing it well before then. But recently, some publishers have been complaining that the arrows went missing. It turns out a very small percentage of AdSense publishers were affected. 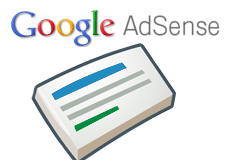 Google said about 5,000 publishers are no longer showing arrows on their AdSense ads. In fact, they call the arrow button the "Nessie". Why "Nessie"? Well, maybe it is after the person who came up with it? Maybe her name is Vanessa? Or maybe it is something else? Our systems have determined that some ad elements in text ads implemented on your site are not performing well for users, advertisers, and/or the publish network, therefore, the arrow button may not display on your ads moving forward. Different ad elements may or may not appear in text ads depending on what is deemed best performing for users, advertisers, and publishers. We believe these changes will encourage advertisers to spend more on the network, and lift earnings for our publisher clients in the long term. Seems very weird to me. Many of the publishers who had the arrows removed are claiming huge drops in earnings, CTR and so forth. So how is this helpful?